Treyarch's new Blackout mode in Black Ops 4 has a collection of heroes (characters) that players can unlock and enjoy in-game. 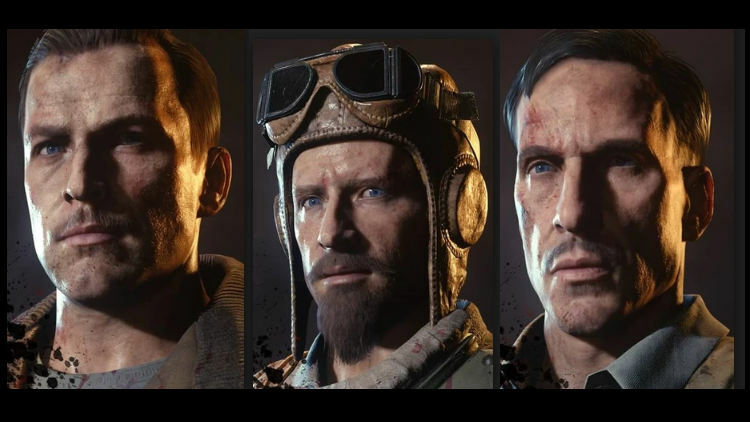 These heroes included characters from past and present Call of Duty games and even characters from the famous zombies crew. In this guide you'll find unlock instructions for each of the Blackout Heroes. Blackout characters are essentially "skins" that players can equip pre-match and show off to their friends and foes. They do not possess any special abilities, provide perks over and above any other character - they're truly cosmetic. All skins are pre-configured and do not allow any further customisation or character creation. That said, running around the Blackout map as Richtofen is something that every Treyarch fan is going to desire. In the beginning, everyone starts with nothing. No characters unlocked besides the default skin. Every new character in Blackout has a set of challenges (missions) that players must complete in order to unlock the skin. Many of these challenges will take multiple games to complete but a handful are possible to unlock in a single match (if you're lucky). A good example is the Specialist "Battery" - who is unlocked by finding the War Machine, getting kills with it and then finishing in the top 15. Air drops, zombies caches and weapon crates all play a part in character challenges. Many of the challenges require a certain element of RnG to kickstart and then just pure skill to successfully complete. For example, finding the Ray Gun in a zombies cache is purely down to the RnG gods whilst getting kills with the gun is going to take skill. Like Fortnite, Blackout progress is carried with you at all times so it's possible to progress several challenges for different characters in a single match. The zombies characters have zombie themed challenges, which push you closer to the hordes of zombies that randomly spawn into the Blackout map. 1 Ajax BLOPS4 Specialist Collect three armour plates from enemies. 3 Crash BLOPS4 Specialist Finish the match with 15 Healing Items. Finish the Match in the Top 3. Finish with Poker Chips in Inventory. 4 Firebreak BLOPS4 Specialist Get the Burned Doll from supply box or supply drop. Kill or clean up a downed player with fire. 5 Recon BLOPS4 Specialist Get I Ching Coins from supply box or supply drop. Finish in the top 7 players with one I Ching Coins in your inventory. 6 Ruin BLOPS4 Specialist Find the Punching Mitts (locations: Asylum Roof, Construction Site on top of red crane, top outer rim of the Lighthouse, yellow rafters in Hangar 2 at Turbine). Kill an enemy in close quarters. Finish match with Punching Mitts in inventory. 7 Seraph BLOPS4 Specialist Find the Annihilator (from inside green tarp building in firing range, shoot the target through the window, pick up Annihilator from green box). Kill one enemy with the Annihilator. Finish top 4 in Quads, top 8 in Duos, or top 15 in Solos with the Annihilator. 8 Torque BLOPS4 Specialist Find a Note from Torque from supply box or supply drop. Deploy 2 x Razor Wires and 1 x Barricade. Finish in the top 7 with the Note from Torque in your inventory. 9 Nomad BLOPS4 Specialist Get Juneau’s Tags from Supply Drop. Kill 2 enemies without taking any damage. Finish match with Juneau’s Tags in inventory. 10 Prophet BLOPS4 Specialist Get Ocular Prosthetic from Supply Drop. Win match with 3 perks active and the Ocular Prosthetic in Inventory. 11 Frank Woods BLOPS Campaign Get the Woods’ Bandanna (from the wooden box, located halfway between Construction Site and Train Station. It's near the blue sheets on the ground.). Fly a Helicopter for at least 60 seconds. Win the match while holding the Bandanna. 12 Viktor Reznov WaW and BLOPS Campaign ??? 13 Raul Menendez BLOPS2 Campaign Find Locket item. End match with Locket item in inventory. 14 Alex Mason BLOPS and BLOPS2 Campaign Find Bandanna from dead players or zombies. 15 Jason Hudson * BLOPS and BLOPS2 Campaign ??? 16 Nikita Dragovich * BLOPS Campaign ??? 22 Richtofen "The Doctor". Original zombies crew. Find the Blood Vials (from blightfather, OR interact with the blood fountain in Asylum while holding the Russian Tanker Hat or Letter To The Emperor in your Inventory). Finish match in top 2 in Squads, top 3 in Duos, or top 5 in Solos with Blood Vials. 23 Dempsey Original zombies crew Find the Juggernog Bottle (Nuketown bunker, Mystery box or Blightfather). Finish the match with bottle. 24 Takeo Original zombies crew Get the Emperor’s Note (top of lighthouse, blightfather event or interact with typewriter in Asylum). Do NOT use any equipment (grenades, barricades etc). Finish top 4 in squads, top 8 in Duos, or top 15 in Solos with Emperor’s Note in Inventory. 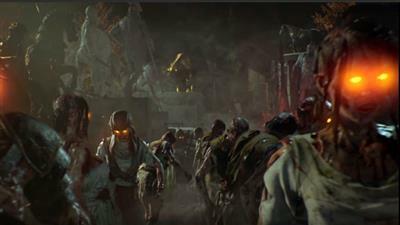 25 Nikolai Original zombies crew Find the Russian Tanker Hat (in Graveyard throw monkey bomb at locked mausoleum to open it, OR blightfather event). Finish top 3 in Squads, top 4 in Duos, or top 5 in Solos with the hat. 26 Samantha * Maxis' daughter ??? 27 Maxis * Lead zombies scientist, part of the "Der Riese" project. ??? 28 Samuel Stuhlinger * BLOPS2 zombies crew ??? 29 Marlton Johnson * BLOPS2 zombies crew ??? 30 Misty * BLOPS2 zombies crew ??? 31 Russman * BLOPS2 zombies crew ??? 33 Scarlett Black Ops 4 zombies crew Collect Racing Goggles and Scarf from dead zombie. Kill a player using a vehicle. 34 Shaw Black Ops 4 zombies crew Collect Alchemical set from dead zombie. Kill two enemies with Wraith Fire or Acid Bomb (found in zombies mystery box). Finish match with Alchemical Set. 35 Diego Black Ops 4 zombies crew Get the Comic Book item by killing zombies. Finish the match with Comic Book. 36 Bruno Black Ops 4 zombies crew Collect the Mug Shot poster item from dead zombies, supply drop of Blightfather. Finish the match with the poster. Note: some of the information above is based on speculation until confirmed. An asterix (*) is used where the information is unconfirmed. All information will be updated soon. Update: Black Ops 4 has launched, this post will be updated with unlock requirements over the coming weeks. Stay tuned.